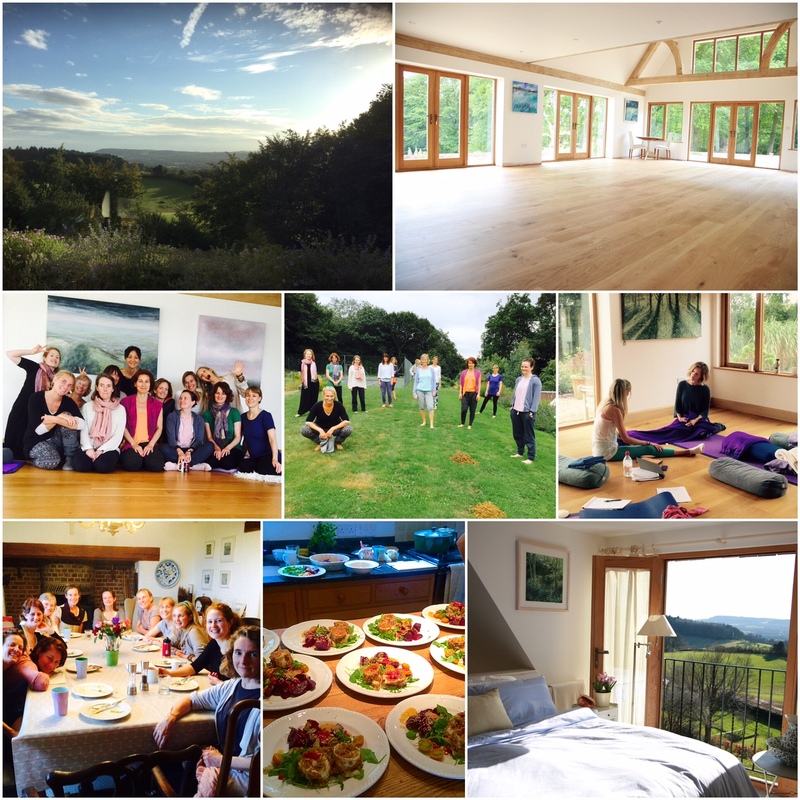 Come for a long weekend of relaxing and enlivening yoga retreat at the stunningly beautiful Kilnhanger in the Surrey Hills. I am running two long weekend retreats in 2019. Kilnhanger is a wonderful retreat centre that is unlike any other. It is a family run place and they provide the atmosphere and facilities that are friendly, honest, sophisticated and stylish. This unique venue creates retreats that are relaxing in so many ways and quite luxurious in other ways. 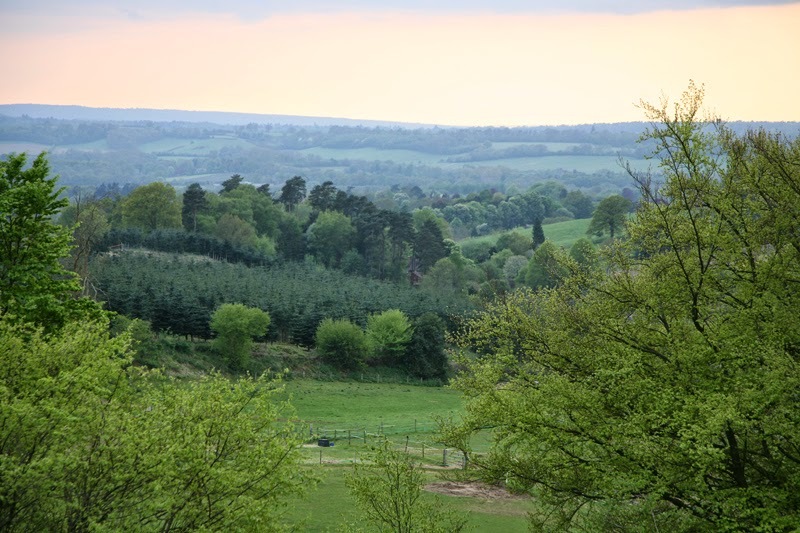 It is located within an area of outstanding natural beauty, set high up in a beautiful woodland with stunning views of the surrey hills. Glorious sunsets and an abundance of birdlife is often seen from the house. 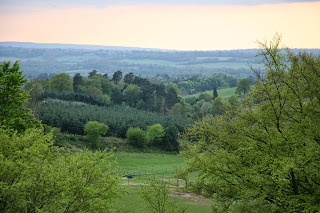 Surrounded by 40 acres of fields, woodland, orchards and gardens with many idyllic spots to sit and unwind. And there are many walks in the area nearby. 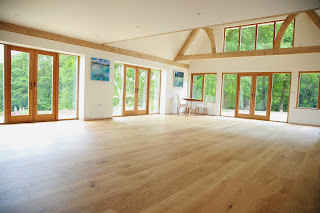 The well equipped yoga studio has a panoramic view of the surrey hills and the underfloor heating. It is bright and has a high ceiling. 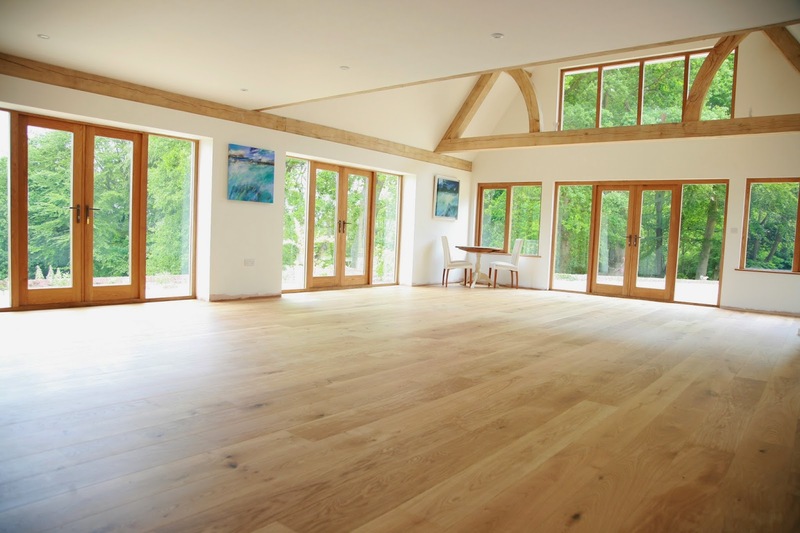 It is calming and inspiring, providing the most conducive atmosphere for yoga practice. All the various forms of accommodations offered here are very comfortable and stylishly decorated. Everybody who came to a retreat / training there in the past all fell in love with the place. Between yoga classes, time can be spent to enjoy walks and relaxing in the garden and nearby area. 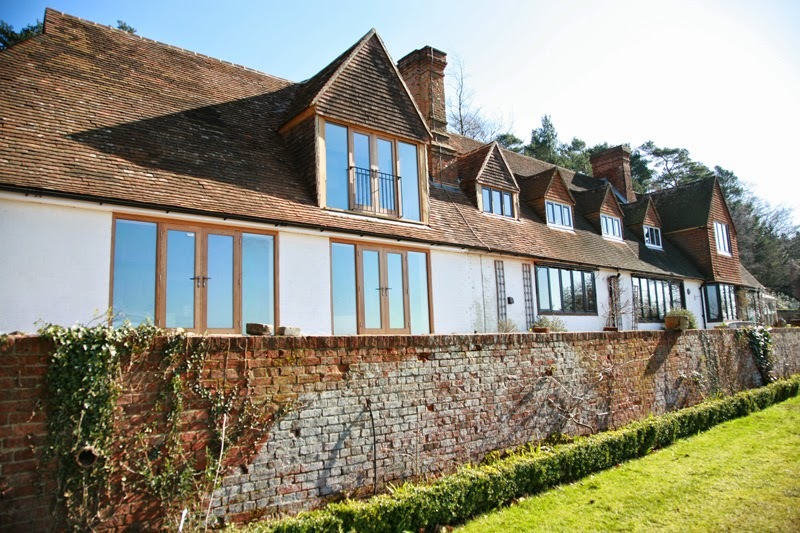 You can secure your place on this retreat by sending a non-refundable deposit of £200. Please contact me for the transfer details. There will be an early bird discount of £50 for those who book by the end of March for the May retreat, and by the end of April for the June retreat. Arrival: On Thursday, you can arrive between 2-3pm, just in time for an afternoon tea. And the first session will be from 4pm before the dinner at 6:30pm. Departure: On Sunday, we will have a morning yoga practice and we will leave after lunch. 2 yoga sessions daily, a combination of an active practice and restorative yoga. Plus a short meditation and pranayama (breathing exercise) just before the breakfast. There will be long breaks after breakfast and lunch when you can spend relaxing, reading books, walking, enjoy the quiet or socialising with others. The cost includes all yoga sessions and 3 meals per day plus teas and coffees throughout the day and use of the facility. Please see the below and choose which accommodation would like to be in. And state it at the point of booking. The first come, the first served. It is going to be a cozy, small group retreat, around 12-16 people, which is lovely. 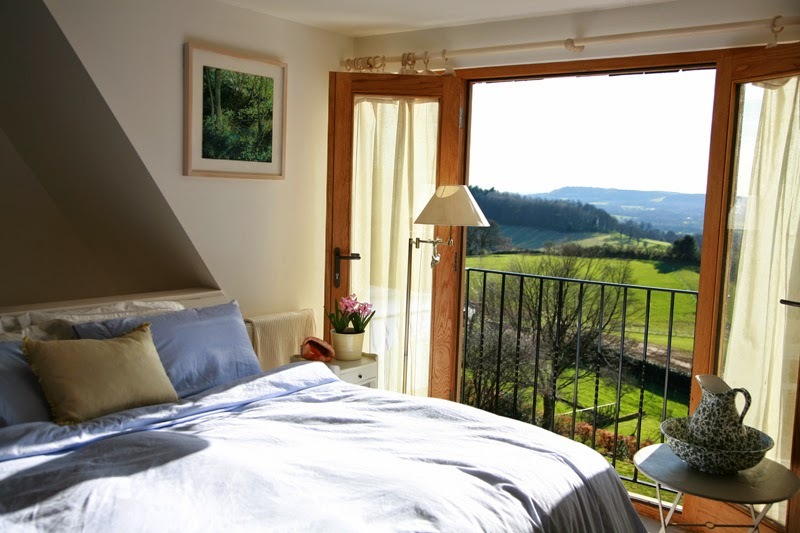 A small but stylish room with a beautiful view. Use of shared bathrooms. *This room can be used as a small twin. So if you are happy to share with a friend or a partner, it might be a nice option for you. 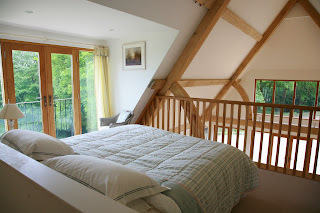 A good size bedroom for 2 people or luxury room for 1 with big windows and a beautiful view. A beautifully hand crafted shepherds hut with double bed and its own kitchenette and shower room. Top of the range.